The Intel UHD Graphics 617 (GT2) is a low-end integrated graphics unit, which can be found in the Y-series of the Amber-Lake generation. This "GT2" version offers 24 Execution Units (EUs) clocked at up to 1050 MHz (depending on the CPU model). Due to its lack of dedicated graphics memory or eDRAM cache, the UHD 617 has to access the main memory (2x 64bit DDR3L/LPDDR3). Compared to the old HD Graphics 615 in Kaby-Lake-Y CPUs, the UHD 617 is the same GPU with slightly different clock speeds (depending on the model) and slight power/performance improvements due to the improved 14nm++ process. Compared to the similar UHD Graphics 615 in other Amber Lake models, the 617 looks to be higher clocked (+50 MHz) and has more headroom due to the higher TDP of 7 versus 5 Watt. The 3D performance of the UHD 617 depends on the CPU model and the cooling / TDP-setting of the laptop. Furthermore, the used main memory (single channel, DDR3(L), amount) is influencing performance. On average the UHD graphics 617 should be very similar to the Kaby-Lake HD Graphics 615 due to the same architecture and similar speeds. That means that only low demanding games like Farming Simulator 17 or Rocket League are playable in lowest detail settings. The revised video engine in the HD 615 and UHD 615 / 617 now supports H.265/HEVC Main10 profile in hardware with 10 bit colors. Furthermore, Googles VP9 codec can also be hardware decoded. The UHD 617 should support HDCP 2.2 and therefore Netflix 4K. HDMI 2.0 however is still only supported with an external converter chip (LSPCon). The UHD Graphics 617 can be found in Y processors with 7 W TDP and is therefore suited for very thin, mostly passively cooled subnotebooks like the MacBook Air 2018. The Intel HD Graphics 615 (GT2) is a low-end integrated graphics unit, which can be found in the Y-series of the Kaby Lake generation. This "GT2" version offers 24 Execution Units (EUs) clocked at up to 1050 MHz (depending on the CPU model). Due to its lack of dedicated graphics memory or eDRAM cache, the HD 615 has to access the main memory (2x 64bit DDR3L/LPDDR3). The 3D performance of the HD 615 depends on the CPU model and the cooling / TDP-setting of the laptop. Furthermore, the used main memory (single channel, DDR3(L), amount) is influencing performance. On average the HD graphics 615 should be around 20 to 30 percent faster than the previous generation, the HD Graphics 615. 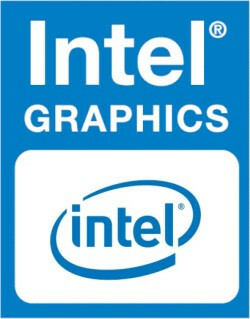 Therefore, it may even reach the performance of the HD Graphics 520. Some low demanding games should therefore be playable with the chip. The revised video engine now supports H.265/HEVC Main10 profile in hardware with 10 bit colors. Furthermore, Googles VP9 codec can also be hardware decoded. The first models do not support HDCP 2.2 and therefore Netflix 4K. This was added with the new models in 2017 and beginning of May 2017 also the older CPU models like the m3-7Y30 are now shipped with a new S-Spec Code that supports HDCP 2.2. HDMI 2.0 however is still only supported with an external converter chip (LSPCon). The HD Graphics 615 can be found in Y processors with 4.5 W TDP (can be manipulated by the laptop manufacturers) and is therefore suited for very thin, mostly passively cooled 2-in-1 notebooks and tablets.